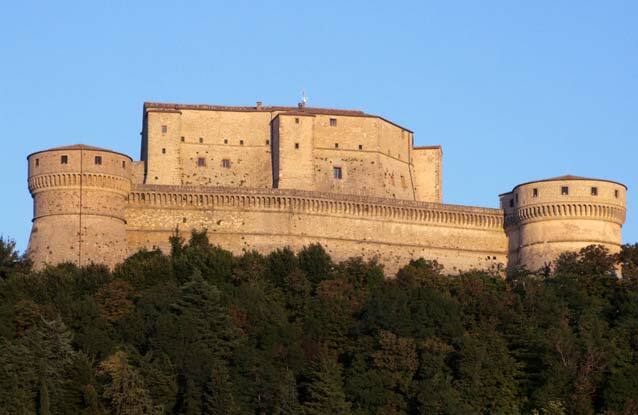 Rimini is not only a land of sea but also culture, museums and attractions. 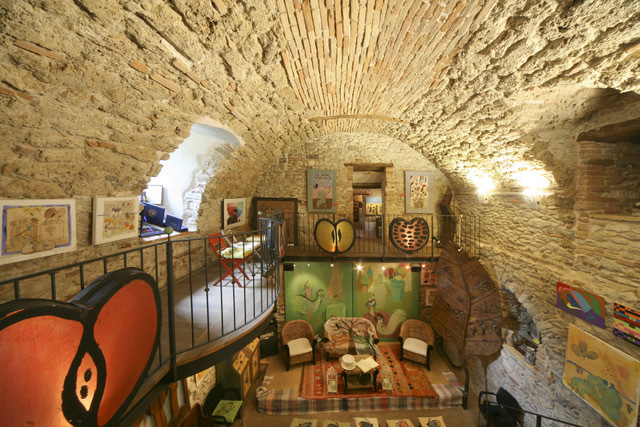 The area is spread over 700 square meters, includes several buildings, of which the most interesting is the so-called Domus del Chirurgo. 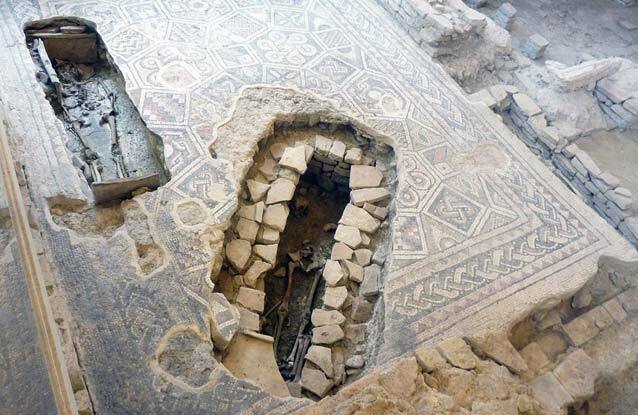 These are the remains of an ancient Roman domus dating back to the 2nd century AD. The excavation has also brought to light other important structures: the remains of a late imperial residence, traces of an early medieval settlement and a large burial ground underneath that highlight a remarkable historical stratification. The materials that make up the Museum are of a very disparate type, but mostly from the local area. They are the result of the Napoleonic ‘suppressions’ of the late eighteenth century, of random archaeological finds and of specially conducted excavations, of donations, of prudent purchases. Their arrangement in the new museum follows, according to the available space, a chronological criterion, with some partial typological groupings (still lifes, portraits, coats of arms, etc.). 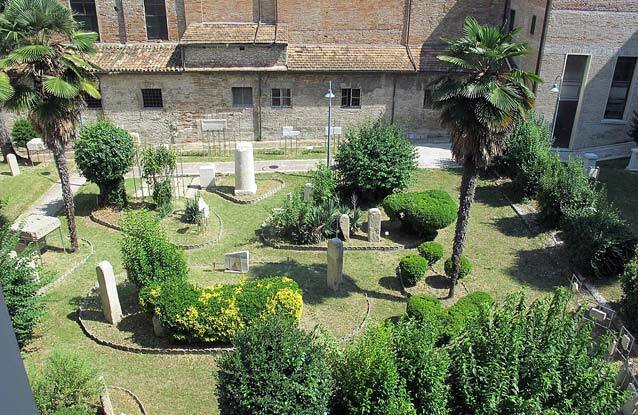 The Museum preserves and enhances the archaeological, artistic, historical and cultural testimonies coming from the city and the territory of Santarcangelo. Kilns and agricultural land represent the archaeological section, which includes a period from prehistory to the Roman age; amphorae, lamps, bricks, furnishings, flower vases, testify to the flourishing productive activity of the territory. The artistic section includes a period from the Middle Ages to the nineteenth century. The exhibited works represent interesting aspects on the condition of the village, on its life, on its culture, on its religiosity, important signs of the long history of Santarcangelo. 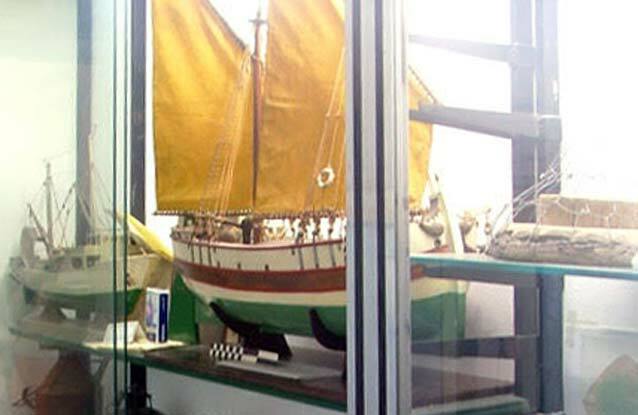 The Museum of the Uses and Customs of the People of Romagna collects and preserves the testimonies of the people of a territory rich in popular traditions: Romagna, in particular the southern one, enclosed between the Apennines and the Adriatic coast. The objects and tools displayed both in the indoor and outdoor rooms contain in themselves the history and in a certain sense the soul of this territory, and help us to understand its environment and everyday life. In fact, the museum meets the history, culture, traditions of a people, in all its aspects: sociality, work, rituality, symbolism. In the eastern part of the hill Giove, on which Santarcangelo stands, there are about 160 caves of mysterious origin that form a real underground city, on three levels. The first and only Museo del Bottone in Italy on a permanent basis since 2008. FOR SANTARCANGELO ORGANIZES GUIDED TOURS, FOR MORE INFORMATION ASK THE HOTEL. The history of the Verucchio Museum, as an architectural context, begins from a long distance. Leaving the Fortress and going down Via S. Andrea, you can reach, through a district from the old structure, the road that, traveled for a short distance, leads to the church of St. Augustine. Dating back to the fourteenth century, it has undergone numerous transformations; of the baroque one the most evident signs remain (stuccos and paintings of the seventeenth and eighteenth centuries). Here in ancient times were kept the bones of Blessed Gregory (1225-1343), one of the four blessed natives of Verucchio, beatified by the Pope Santarcangiese Ganganelli (1769), many centuries later than the antiquity of the cult documented since 1387. The Napoleonic events led to the suppression, at the end of the eighteenth century, of all the convents of Romagna; none of the numerous Benedictine monasteries of the territory of Rimini has been rebuilt during the period of restoration, partly because the monastic buildings had already been rapidly demolished or radically transformed, and their furnishings sold or destroyed. Also many other orders, first flourishing and frequent, never returned to the territory of Rimini. Among these were the Augustinians, who had a large church in the city, next to which an imposing convent was rebuilt during the years when the Napoleonic army invaded the legations; of the Augustinians, however, we saved the monastery and the church that, in Verucchio, are located in a splendid panoramic position, on the edge of the rock on which the village stands. The convent, recently restored, is now owned by the municipality, and houses the Villanovan Archaeological Museum which is perfectly integrated with the precious architectural container. 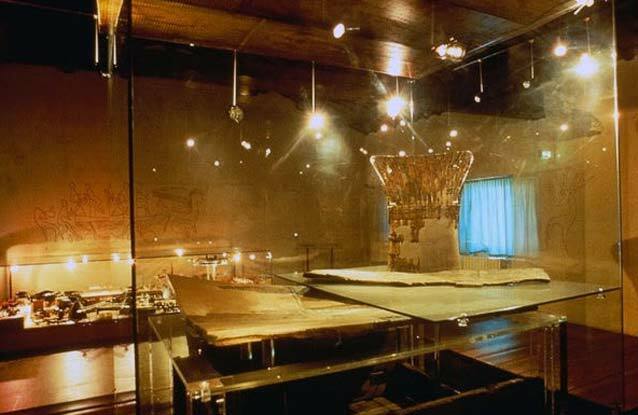 The Museum of Verucchio was inaugurated, following the onerous restoration of the building, in 1985 hosting, in a first exhibition, the finds from the archaeological excavations carried out by Gino Vinicio Gentili in the necropolis of the Moroni farm. 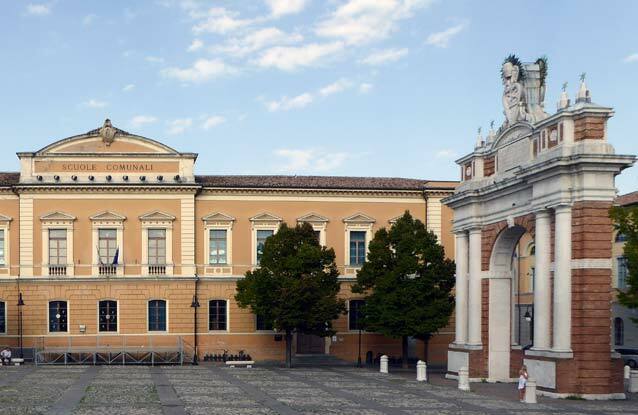 A further boost to the Museum’s research and exhibition initiatives was carried out by the Archaeological Superintendence of Emilia Romagna in collaboration with the Municipality of Verucchio and the SCM Group of Rimini. Thanks to this synergy it was possible to realize, in the year 1994, the important exhibition “Il dono delle Eliadi”, which was set up in Verucchio from July to December and then landed, from April 1995 at the Archaeological Museum of Bologna. From 15th July 1995 the Museum will host a new exhibition that is divided between the ground floor and part of the basement, following a chronological-thematic itinerary that will lead, in the near future, to the definitive exhibition planning of all the rooms and to the creation of new exhibitions . The world of Tonino Guerra is the title that the poet has chosen to define the space in which his artistic work finds hospitality. Certainly a museum space, but that exceeds the idea of ? ?museum as it intends to be a living place where one meets, discusses and works. It is no coincidence that the building is also home to the cultural association that bears his name, established in 2005, thanks to the initiative of the founding bodies. The headquarters of Via dei Fossi, find hospitality in the basement of the fourteenth-century Oratory of Santa Maria della Misericordia. Besides representing a museum space, it is the place where the poet presents his works, lectures on screenplays, staged his reading theater, meets the students and thanks to the archive, the video library, photo library and library set up at the internal, it is a moment of study and deepening of his work and the context in which it was born and developed. The Association proposes a broad cultural program that also promotes, through the knowledge and enhancement of Guerrian art, the territory of several Provinces and Regions, interacting with the Institutions, the Bodies and the Associations that operate in it, with a cultural aspect of a European and international character. It is an opportunity not only cultural and artistic but also of great importance, able to represent a flywheel for the cultural and economic development of an area already full of specificity. Transformed today into a museum, the Fort is above all an important example of military architecture. The Mount of San Leo, for its dominant position and for its peculiar geographic conformation, characterized by steep walls and perpendicular to the ground, has always constituted a natural Fortress. Already the Romans, well aware of this attitude, built a first fortification there. During the Middle Ages, the Fortress was disputed by Byzantines, Goths, Lombards and Franks. The Museum, born thanks to the commitment of the Cultural Association “E ‘Scaion” (name that corresponds to “iron for clams”), holds within it two important collections, which are then reflected in the exhibition articulation: that of the shells and that of fishing gear. No less interesting are also the archive of photos and vintage films that, together with the battans and objects placed outside, reconstruct and portray the life of a small town that has transformed from a fishing village into a seaside resort. , without destroying or eradicating its popular roots, but rather always keeping to the sea, as the main source of sustenance and social and cultural growth. 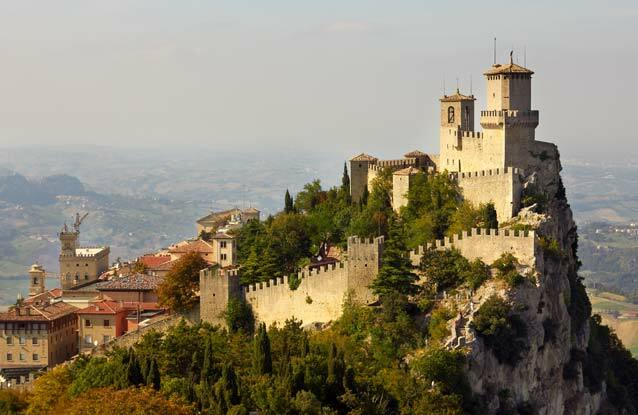 San Marino: the oldest Republic of Europe does not live only in history. Events, festivals, competitions and sporting competitions, music and theater are part of a series of proposals that will allow visitors to experience new emotions in the context of one of the most evocative tourist destinations in the world. From shopping to cultural events, passing through the revisiting of important historical events, there are always a thousand occasions to visit San Marino. Follow “Visit San Marino” on the official website and the social channels: it will be our pleasure to keep you up-to-date on every event thanks to the direct collaboration of the State Tourist Office of San Marino. 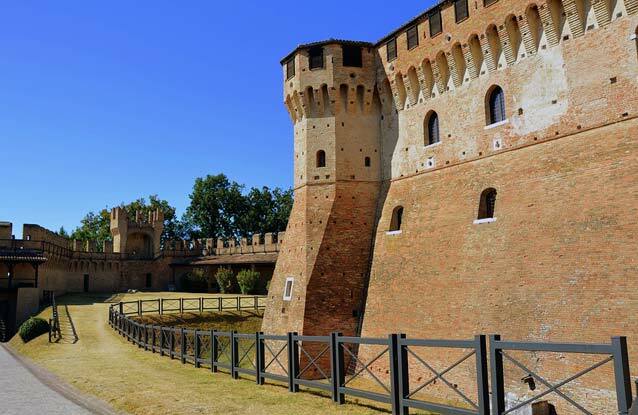 Discover the splendid castle of Gradara and the village that framed the love story of Paolo and Francesca. 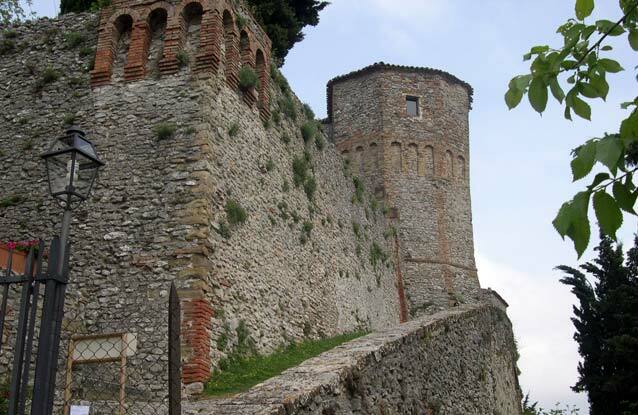 On these pages you can read the history of Gradara, look at the gallery with photos and videos of the fortress and the village. Leaving behind the coast of Romagna, just go up one of the many hills of the Rimini hinterland to find peace. From its 436 meters high, Montebello elegantly dominates the Marecchia and Usso valley, offering even the most demanding visitor a fascinating journey through history, art and nature. The mighty fortress, once the scene of numerous battles, offers us today a breathtaking panorama; marked by a thousand-year history, it leads us to the discovery of its hidden treasures, as well as its mysteries.